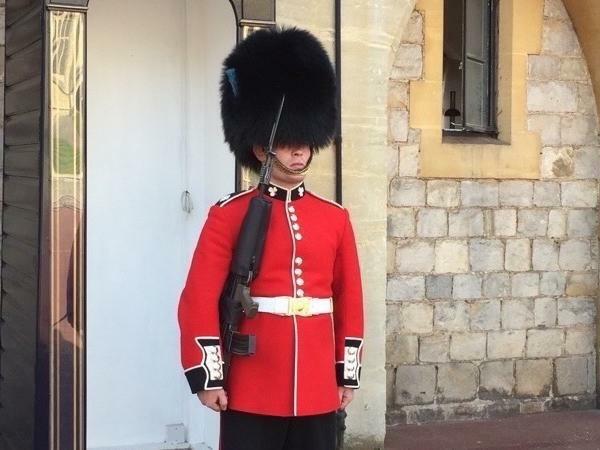 Traveler Reviews for Private Tour in London, England, United Kingdom by Tour Guide Vivien S.
About Vivien S. Message Vivien S.
Absolutely fabulous! Could not have asked for a better day or guide to show us around! She even ordered up perfect weather. Imagine that.. highly recommend!! Vivien is absolutely amazing and delightful! Her knowledge, experience and fun spirit ensured that my family of 4 (two teenagers) enjoyed a full day of exploration and sightseeing, which included many interesting surprises along the way. We cannot say enough wonderful things about Vivien and how important she was in making our first trip to London truly amazing. We had a wonderful one-day tour of London with Vivien. The tour was well-tailored to London first-timers who wanted to get a taste of the city. Vivien is personable and was readily able to answer any questions we had with her wealth of knowledge. We would definitely elect to tour with her again on a future trip to the city. My family of 6 just spent 8 days in London where we were fortunate to spend 4 amazing days with Vivien seeing the rich history of London. Vivien took us through Buckingham Palace, Windsor Palace, The Tower of London, and Hampton Court. Vivien has Blue Badge tour guide credentials which means she has extensive training and certifications. My family had an experience in London we will always remember, and we owe that all to Vivien. We highly recommend you choose Vivien for your London visit! Vivien is a delightful person and we enjoyed our day in London with her very much. We will definitely call her again when we return to London. I cannot say enough about Vivien!!!! From the moment we met her we knew she was going to be the most incredible guide!!! She was AMAZING! Super accommodating and flexible! She and I had communicated a number of times ahead of the tour and she was extremely helpful in guiding me to a couple of tickets I required for our tour. Her reply and emails were prompt and precise! We had never experienced TourByLocals before and this first time experience was one that will leave us with GREAT memories! Vivien was great! We had a wonderful day in London with the best tour guide!! She's certainly a five star. She came on time and ready to go. She was very knowledgeable of the history of this great city and country. Besides all that she was fun, with a great sense of humor. My wife and I have traveled all over the world and never had a better guide. Our party of 7 (5 adults, 2 kids) were in London for the first time and wanted to see as much as possible. Vivien was a fantastic person to show us around! She is incredibly knowledgeable about the city and it's attractions. She is very fun and personable, like an old friend! We had 3 generations travelling and she knew just the right combo to make it enjoyable for all. Very highly recommend booking with her! Thank you, Vivien!! I give Vivien 10 stars for the most excellent two-day tour for my 17-year old daughter. We were very fortunate with Vivien. It is impossible do describe in a few words. Highly recommend!